David Lyon was born in Walsall, West Midlands, in 1938. 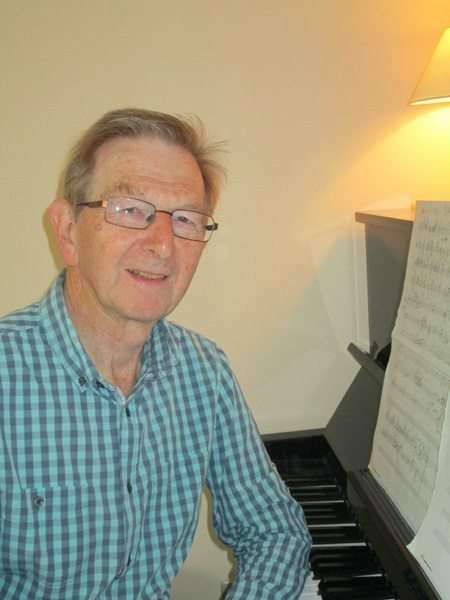 After Army service playing French horn in a military band, he studied piano and composition at the Royal Academy of Music 1960-64 and later at the University of Bristol. Although composition has been his main preoccupation, he has also had a secondary career as a jazz pianist, mainly in small groups or as a soloist. His compositions have covered a wide and varied field, from chamber, choral and orchestral works to music theatre, always with the emphasis on directness of expression within a clear structural framework. A natural bias towards melody, rhythm and colour has led to a series of lighter orchestral works, most of which have been published by Mozart Edition. David’s latest CD, ‘A Wiltshire Elegy’, available here, comprises newly recorded works from across his career (all played beautifully by the Royal Ballet Sinfonia under Gavin Sutherland).